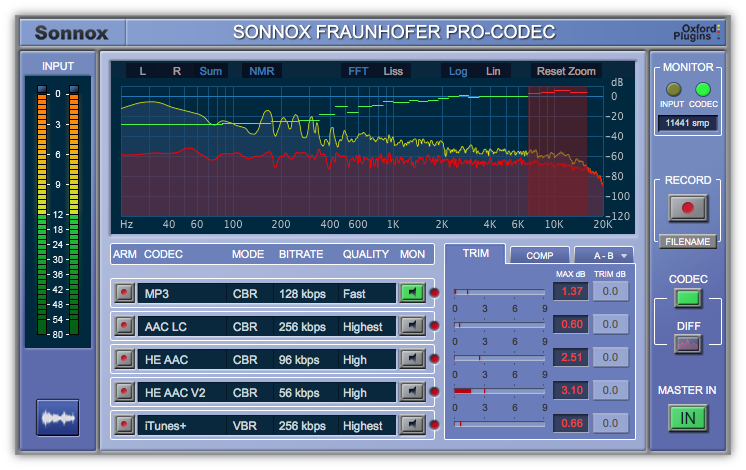 The Sonnox Fraunhofer Pro-Codec does not support Avid’s TDM/HDX hardware DSP platform. This includes Venue, S3L and S6L systems. The Fraunhofer Pro-Codec is also available in the following money-saving bundles. "Once you've used Pro-Codec you won't hear compressed audio the same way ever again." "...one of the most useable plug-ins for mastering and mix engineers on sale today."